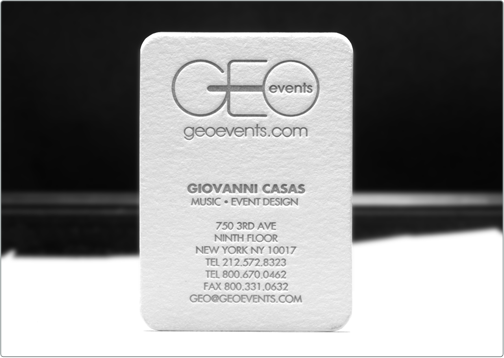 The GEO events business card matches the style and class of the agency. 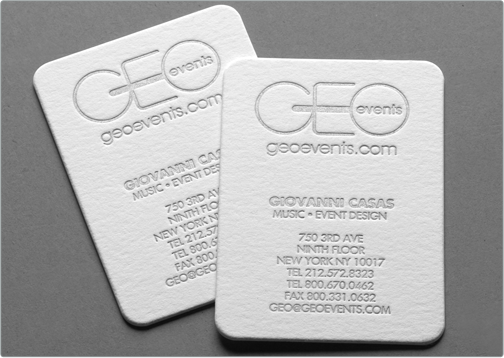 Cut with 1/8 inch rounded corners, the luxurious textured cotton stock is debossed gently with a fine foil stamp. 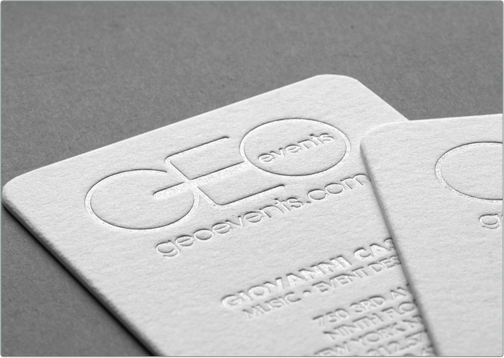 The clean card design and modified type face focuses on a minimalistic style.